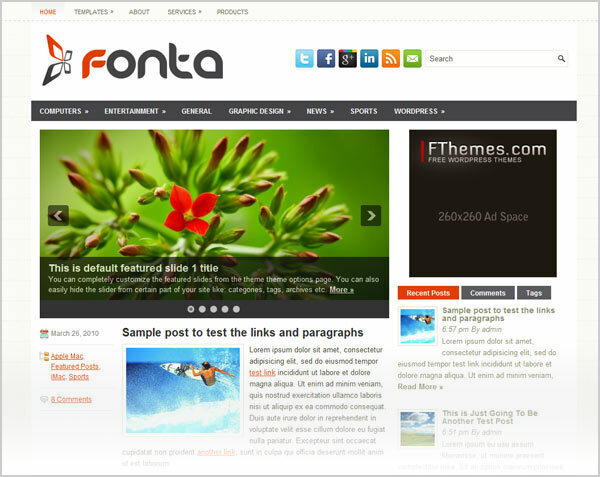 You will be benefited by my today’s post of the free WordPress themes 2012. I have found these very effective to share with you so that you can avail these free Premium wordpress themes in your online magazines or personal blogs. Here are the 15 best free WordPress themes. They are easy to use and are replete with abundance of premium feathers. 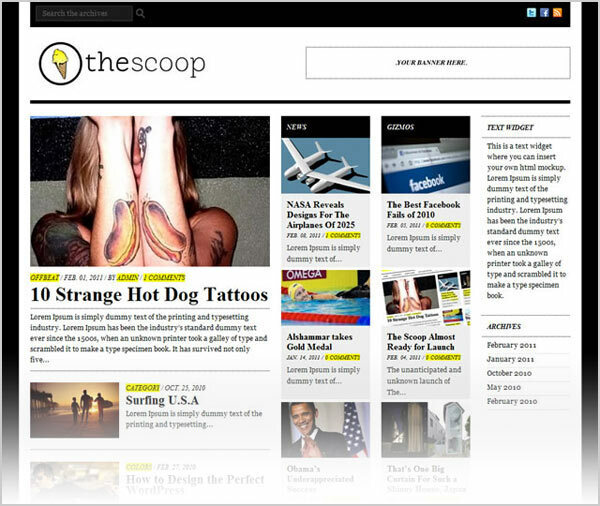 Scroll down to pick out a suitable free Magazine WordPress themes 2012. 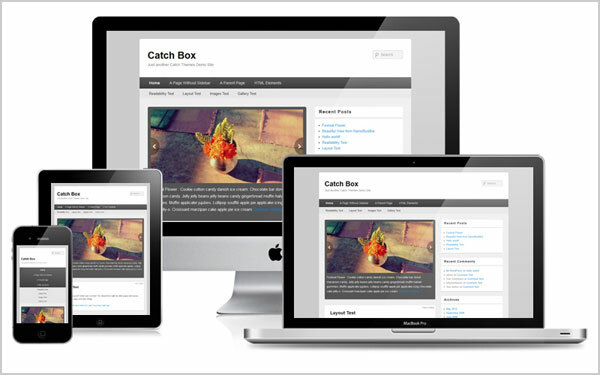 Catch Box is a free Simple yet Premium Responsive magazine WordPress theme for Pro Bloggers. It is created on HTML 5, CSS3. Catch Box has a very easy customization through admin panel. 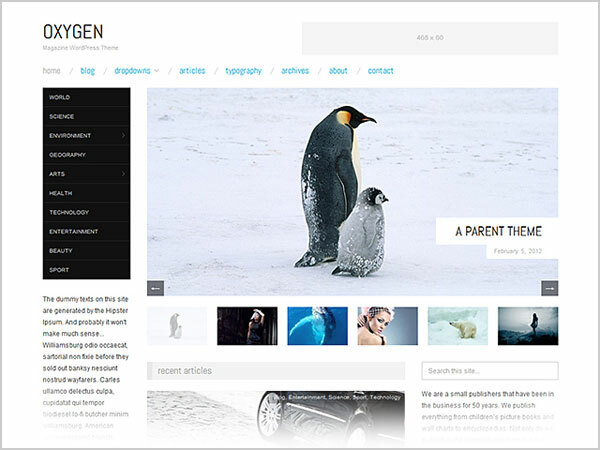 Oxygen is a premium responsive magazine theme for Professional bloggers. Oxygen is built on the industry-recognized Hybrid Core Framework. Its main features are Fluid, responsive layout, Beautiful smooth feature image & content slider, easy theme settings, breadcrumbs, 5 widget areas (sidebars). It also has 3 menus, custom background and most importantly it is search engine optimized ready. It has built in Gravity Form and Contact form 7 Css styles. Purity is a beautiful yet simple Free Premium magazine WordPress theme for keen bloggers. It is shipped with so many premium features including Features & Article Post Full width Image Slider. Easy to use admin panel & sidebar/ top Banner advertisement support. If you are looking for a food blog magazine wordpress theme then Delicacy will be a right choice for you. This Simple yet beautiful theme is shipped with 6 colors schemes with feature image nivo slider. Delicacy has threaded comments, widget area in header & 6 beautiful background seamless patterns. It is tested in all major browsers and compatible with WordPress 3.0 or above. 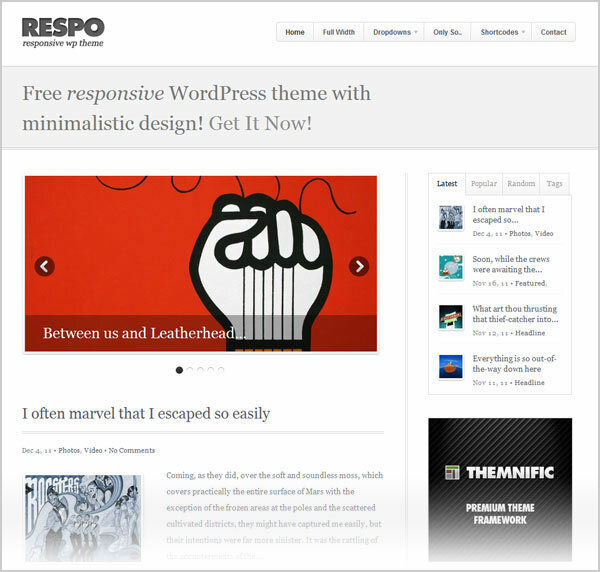 Respo is simple and elegant Free premium wordpress responsive magazine theme from Themnific. It is designed for personal blogs & highly recommended for online magazines. Theme slider is also responsive and it minimizes on every mobile device you are using. Slider looks equally awesome in ipad and iPhone device. Some of the features include sidebar tabs for latest and popular posts, full width template, 300 px ad placement widget, Advertisement fix widget and much more. Respo is WordPress 3 + ready. iNews is one of the best Premium magazine theme which is free and shipped with so many exclusive features. It was desined for serious bloggers with NEWS and Professional Blog Magazine websites. It has very attractive featured image jquery slider, 125 x 125 px advertisement support widget, search engine optimized, fixed width, easy to use admin panel, gravatar on comments, compatible with all major browsers and made for latest wordpress versions. 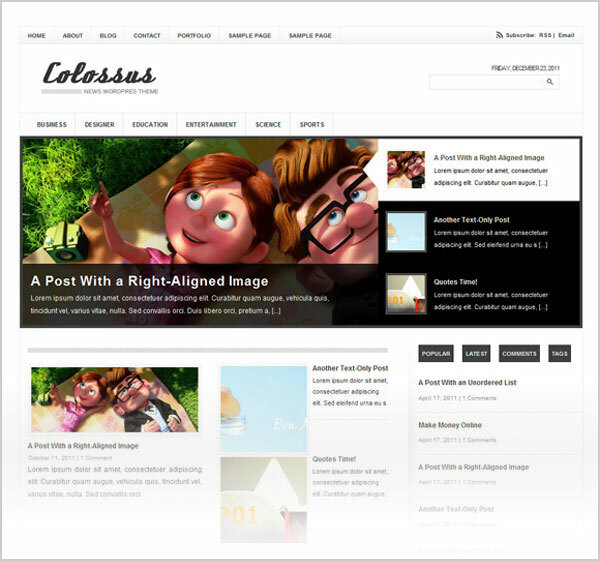 Colossus is simple yet professional magazine theme that should be used for magazine, news, personal, and entertainment or lifestyle blogs. Colossus has an auto thumbnail feature and widget ready theme. It has a very sophisticated typography structure. Theme features include easy to use admin panel, social media icons, Ad widgets, post author signature, header banner, custom menu, search engine optimized & cross Brower compatibility. 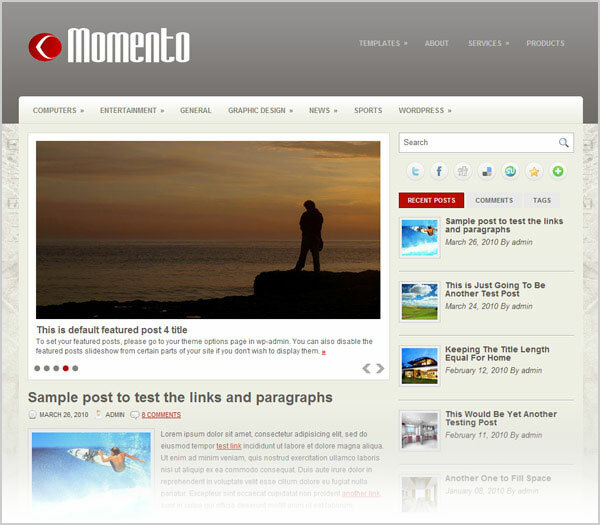 In all the collection of best free WordPress themes I liked the Momento very much. It is shipped with many handy features like support the post thumbnail , custom menu, very elegant featured images slider, 125 x 125 px ad widget seo optimized fixed width and gravatar with threaded comments. 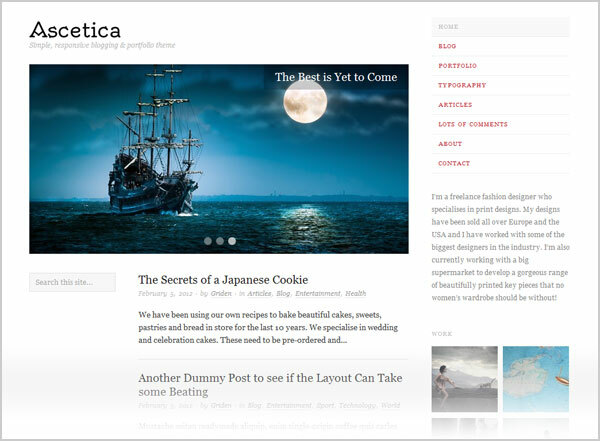 Ascetica is an elegant WordPress theme with responsive layout. It is recommended for personal and photo blogs. It has custom background option, custom menu, custom page template, featured image header, post formats, sticky posts, easy theme options, threaded comments and translation ready. 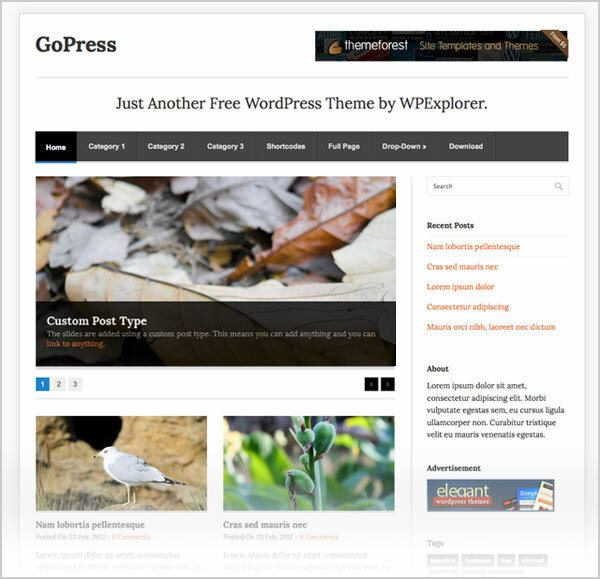 GoPress is a beautiful yet simple and super minimal free premium like wordpress theme from WPExplorer. 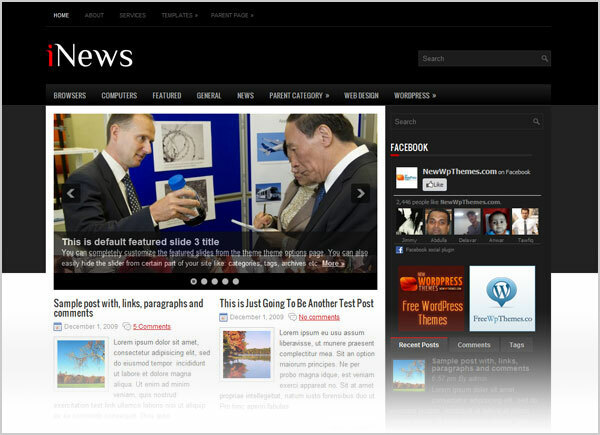 This WordPress magazine theme is a perfect choice for personal, news, and magazine blogs. This theme is under GPL license. GoPress features include full width header banner, easy drop down menu, very smooth image slider, Threaded comments, flickr image gallery, footer wth 3 column etc. It also includes css styles for contact form 7. Best choice and my personal favourite. 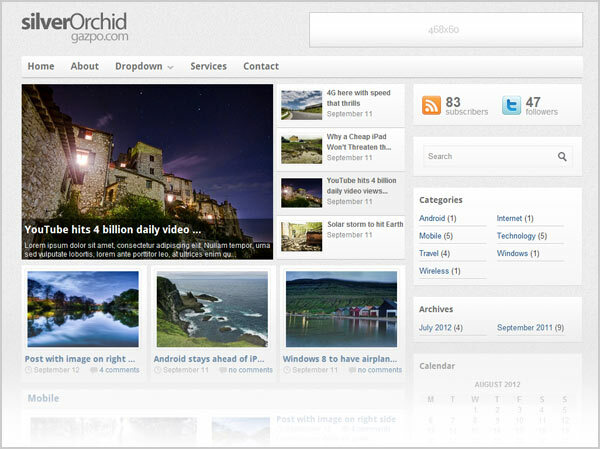 SilverOrchid is a free premium Magazine WordPress Theme for Online Magazine and New related blogs. This theme has a wide range of custom Options and it is equally simple to use. SilverOrchid Feature includes built-in pagination, custom and main feature slider, full page template, jquery support and it is wordpress 3.3 ready. It also has many extensive admin panel options. Edaro is a free premium magazine WordPress theme released in 2012 for online magazine and personal blogs. Edaro is a 3 column WordPress theme. It has many built-in features include, social media icons, feature image slider, text widget, 125 x 125 ad support and many other exclusive options. 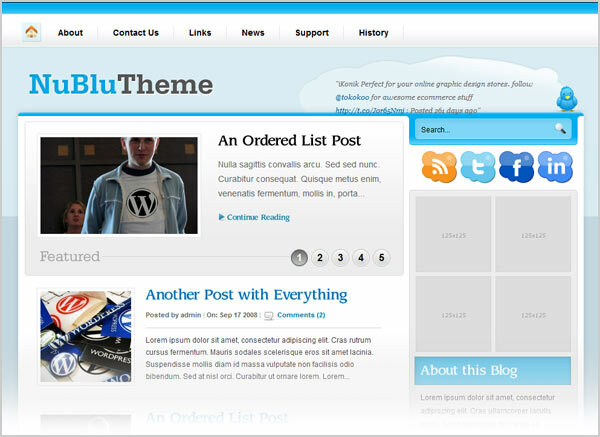 Nublu is a blue color themed premium like magazine wordpress theme with a beautiful slider, cufon-enabled headlines. A cute Twitter bird is also placed on the right side of menu. Nublue wodpress theme automatic generate thumbnail as far as you have an image on your post. 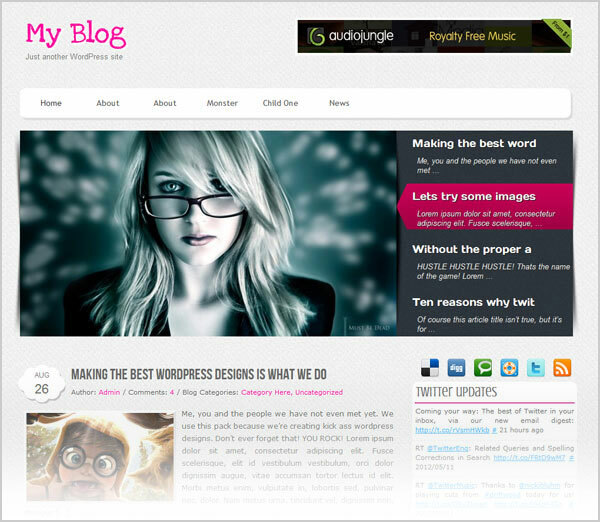 It is wordpress 3.0 + theme and free to use for commercial purpose as well as personal blogs. Instructions: Place the logo.png file in the image folder and the logo will appear it automatically just make sure your logo is transparent. For 125 x 125 px ad go to admin section of wordpress and open up the file called sidebar.php and edit the code accordingly. Here you have another beautiful free premium magazine theme from wplave. 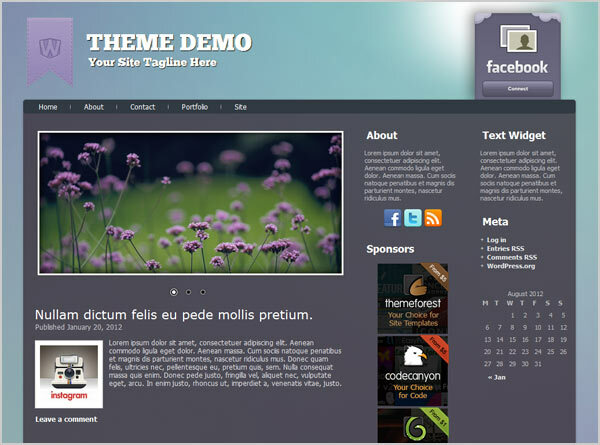 Nowadays every new blogger is finding and a blog theme which has a featured image slider and widget ready theme. Flonta has everything you are looking for. It has a top search bar with social media icons, custom menu support, built-in pagination, four column support at footer, recent post with thumbnail sidebar widget, very easy to use admin panel options, 125px ad support widget, search engine optimized, fixed width and tested with all major browsers.